Is TINT Hair Chalk Worth the Comeback? Getting any unnatural hair color sounds like a great idea at first. You’ve seen plenty of people on the internet with beautiful locks dyed with one or two colors. But next to these success stories, you also see horror stories of people who either got a bad hair dye result, or people whose hair was ruined by the chemicals. You may be worried that if you ever do dye your hair, it can either go one way or the other. 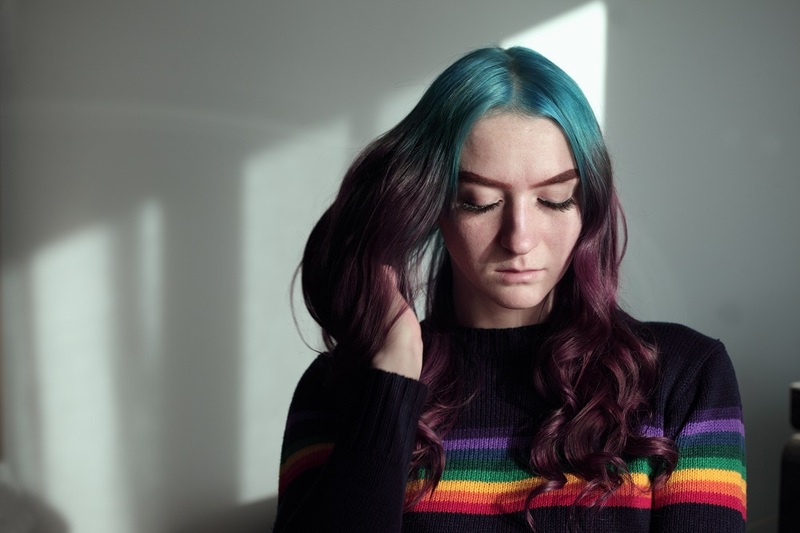 Others have had the same doubts, which is why instead of getting box dyed or getting their hair colored in salons, people have opted to use temporary hair colors to either see whether their hair would look good colored without long-term repercussions. These temporary dyes are also great for people who want to keep styling their hair various colors. Recently, I’ve found people doing reviews for Fine Featherhead’s TINT hair chalk. According to Color Me Crazzy, Fine Featherheads already went out of business, though their hair chalk can still be found on Amazon, eBay, and a few other online stores. With only a few reviews about the product, we decided to dig into the available information and see if TINT hair chalk was worth bringing back to compete against newer methods temporary hair dyes. 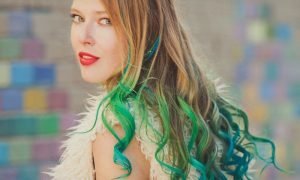 There aren’t that many Fine Featherheads TINT hair chalk products left, and on Amazon, there’s only one page offering five colors: Cosmopolitan (Pink), Green Envy, Party Pink (Hot Pink), Passion Purple, and Rasta Red. Colors such as Cosmopolitan and Green Envy weren’t in the group picture, which suggests they are newer colors among other colors that aren’t on the market anymore. Based on some of the reviews in the first seller, though, these colors (and more) may have been available in the past. While there aren’t any instructions on the TINT product page, we can assume it works the same way as any other hair chalk. If you have dark hair, start by wetting the hair you want to color so that you intensify the pigment and get the color to show. If you have blonde or light hair, you don’t have to wet it. Rub the chalk onto your hair until you get the desired color and evenness. Seal in the chalk by pressing your hair with a curling iron or straightener. Shake off the excess chalk, and you have colored hair for a few days or until you wash it out. On Amazon, we only found five reviews on the dye. Two were five-star reviews, while the other three gave four-, three-, and two-star reviews. Those that gave it a perfect review found that the colors were vibrant and stuck well to their hair. Other reviews claimed that while it was good for light-haired people, it was difficult for the colors to show in dark hair. The review that gave the lowest rating said that the color never showed for them, and while the chalk was a bit messy and spread all over their bathroom, it did not permanently stain. Are buying the remaining TINT hair chalk products worth it? Well, first you have to know the alternatives. 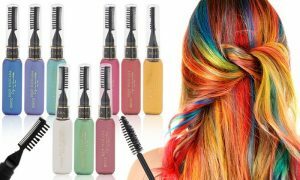 The other ways of creating temporary colored hair are through hair mascara and temporary hair dye. Hair mascara looks like your regular eye mascara but works similar to hair chalk. Just run the mascara wand through your hair and let the color dry. It comes off after one shampoo wash. Temporary hair dye can either come in a spray can or in a similar package to your regular hair dye. If you’re looking for alternatives to hair chalk, these two come with their own unique features. Mascara removes the mess of chalk powder and is more short-term though can still provide a vibrant color. Temporary hair dye, depending on the brand you buy, usually offers longer staying power with a few washes, so if you want your hair color to stay longer than a few days, this is the ideal option. Fine Featherhead’s TINT hair chalk has a lot of things going against it. First, it’s a hair chalk, arguably the messiest to apply considering all the powder that will fly when applying the product to your hair. Second, the colors may be vibrant, but with many of its colors rare or difficult to find in the market, it may be the choice for people who only want one or two of the available colors. Many people may find it more practical to buy an entire hair chalk palette if they want to do a wide array of colors. However, in regards to the type of effect chalk has on your hair, it’s the ideal choice for people who don’t want to put too much chemicals on. Mascara and temporary hair dyes may have an effect in hair damage. The worst hair chalk can do is to slowly take the moisture out of your hair, but this requires a low-maintenance solution via deep conditioning. Is it worth buying? Yes, if you want short-term hair color for a limited number of colors. 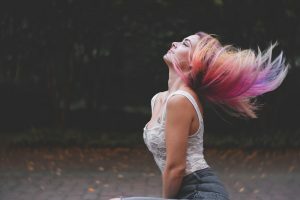 If the point of buying temporary colors is that you want to see what your hair looks like before committing to permanent hair dye looks like, then if you can find Fine Featherhead’s TINT hair chalk elsewhere, then it is worth getting. It’s worth the quality and there are probably still some colors that work well together. However, if you’re buying temporary hair color for the purpose of constantly mixing and matching new hair colors, you’re better off buying a palette that is still being manufactured. Because once TINT runs out in the market, you’re left trying to find a dupe or something similar.